Check out the inspiration we were to use here. Isn't this a fun, clean image to use for a challenge to make a card? I'd love to be sitting right there in that room for a loooong time. I love the bright, clean and soft, curvy lines in the room. It reminds me of warmth, wavy, and sparkly moments that a shoreline in the summer gives. When I saw the inspiration, I knew the paper I had to use on it. And, hey, no stamps were used on this card...can you imagine that? Hope you like it and you feel like catching the last rays of warm summer days before embracing fall. 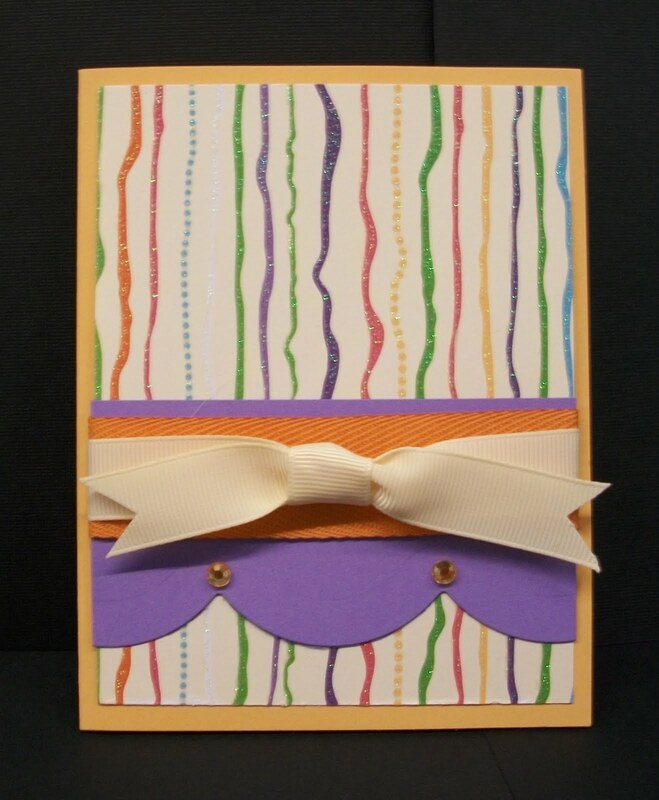 Sweet and simple - a dear card! Great take on the Trigger. Thanks for sharing. This is terrific Robbie.. I love that paper too.. I think that more and more everyone is going away from stamps. Sure makes it go alot faster. Super job. Hi Robbie! This is terrific! 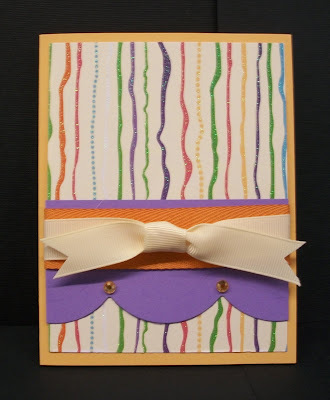 I love that there is no stamping on this, that paper is perfect all on it's own!